For colleges and universities, it is more important than ever to create deeply engaging websites. 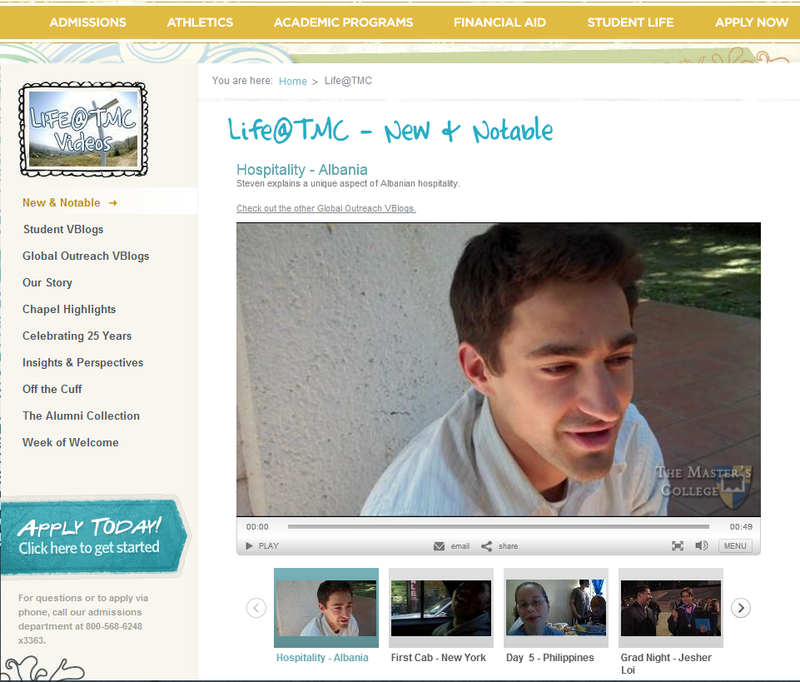 The modern day college website serves so many critical purposes for the entire organization. It functions as an informational tool for current students, a way to keep in touch with alumni as well as a prospecting tool for future students. With such a large ecosystem of people associated with the school, there is a great opportunity to create a website that promotes communication and has a community feel. Someone who knows this quite well is Bryan Kirby, the Assistant Coordinator of Chapel Media at the Master’s College in Santa Clarita, California. Bryan, in conjunction with the college's IT and Marketing Departments, has put a lot of work into the school’s website and it shows. 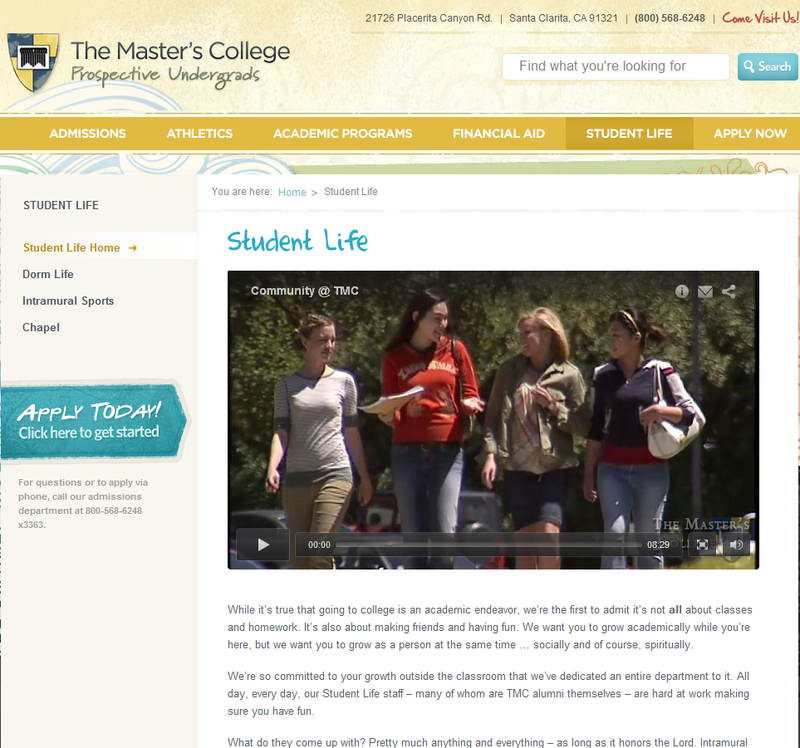 The Master’s College has an exceptional undergraduate website that is hard not to explore upon visiting. Today, the Master’s College undergraduate website is more engaging than ever. While their video initiative is just getting underway, they have already noticed some really nice trends. Both time on site and general traffic has increased substantially. Creating a dynamic and engaging website is like trying to hit a moving target. However, with the right tools and knowledge, this difficult task suddenly feels very manageable.